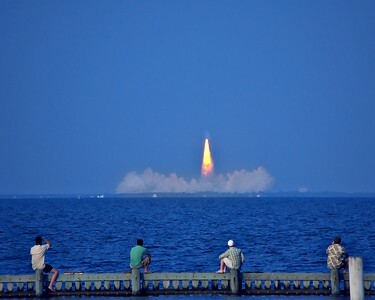 PORT ST. JOHN, FL --Space Shuttle Endeavour lifts off from launch pad 39A Aug 8, 2007 on its way to the international space station to start mission STS-118. 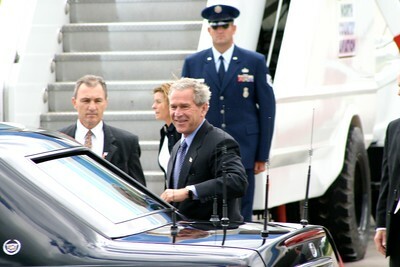 The mission marked the 150th manned US space launch. GRAND ANSE BEACH, Grenada -- Massage therapist Joseph Budd massages a customer at Soothing Touch Massage Clinic. The clinic is owned and operated by four visually impaired Grenadians. The team was put together by St. George's University and all of the therapists are certified by the state of Hawaii. 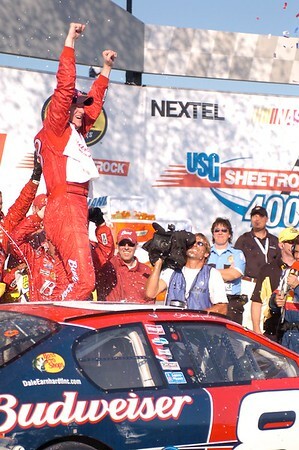 JOLIET, IL --Dale Earnhardt Jr. celebrates after winning the NASCAR USG Sheetrock 400 July 11, 2005. 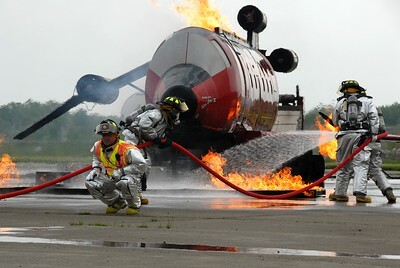 STEWART AIRPORT NEWBURGH, NY --Members of the 105th Air Wing Fire Department douse flames during a multi-organization training exercise here May 16, 2009. 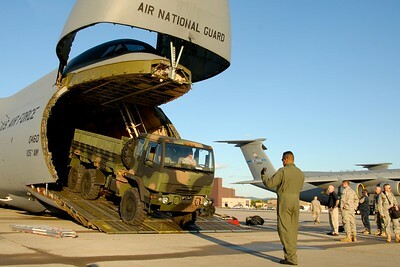 The training was coordinated by the Port Authority of N.Y. and N.J. and takes place every three years and involves the department along with several civilian emergency service agencies. 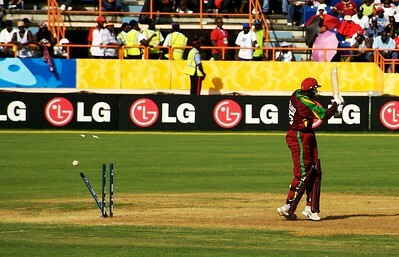 ST GEORGE'S, GRENADA --A West Indies player is bowled out during the 2006 Cricket World Cup in a match against South Africa. The West Indies lost 356 -289. 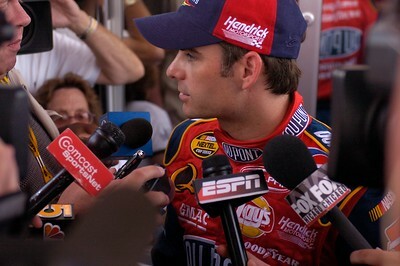 JOLIET, IL --Jeff Gordon answers questions from the press after a practice session for the 2005 Sheetrock 400. 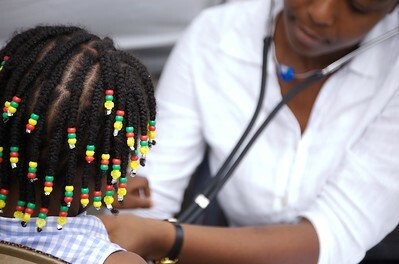 ST. GEORGE'S, Grenada --A young girl has her blood pressure checked during a community health fair in downtown St. George's. The fairs are performed throughout the country by SGU medical students and teaching physicians to improve the local community's health. ST. GEORGE'S, GRENADA -A Costa Rican player leaps over a Grenadian in a fight for the ball during a World Cup Qualifying match June 14, 2008. The game ended in a 2-2 tie. 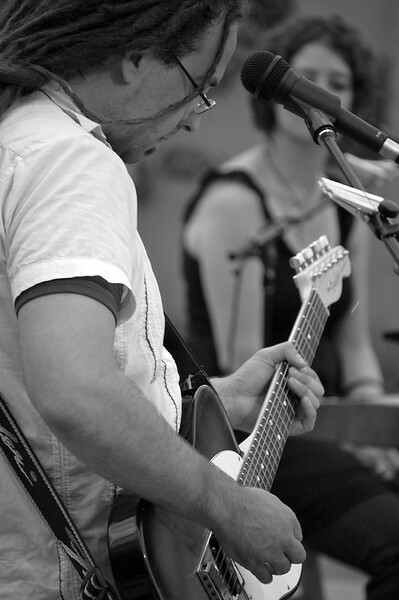 ST. LOUIS PARK, MN -Guitarist Matt Patrick rocks out during a rare outdoor show with one of his many bands, Glad Rags. The cover band is a fun project, which some local singer song writers cover some of their favorite songs. 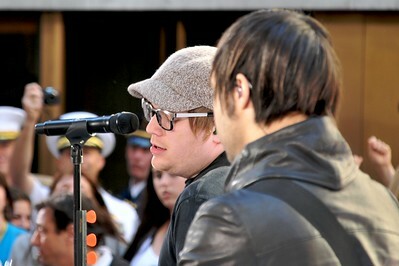 NEW YORK CITY -- Patrick Stump, the lead singer of the band Fall Out Boy, sings at the Today Show's Outdoor Concert Series May 22, 2009 on the plaza at Rockefeller Center as bassist Pete Wentz plays along and looks cool for the ladies.